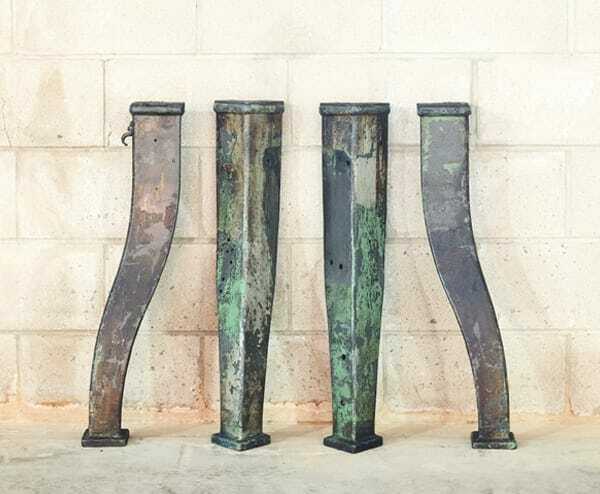 Cast iron industrial machine bases from the early 20th century. 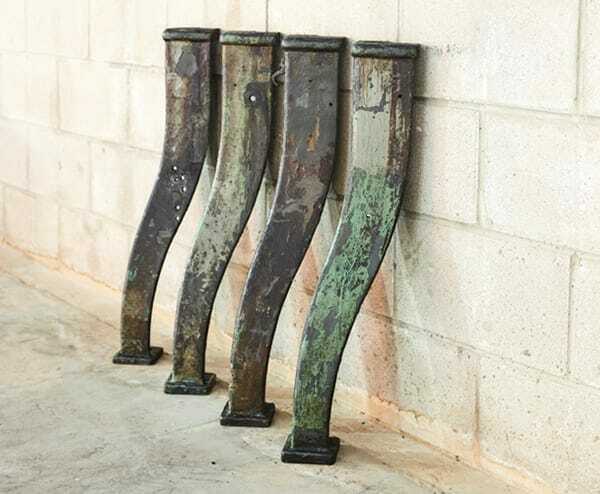 Is it just us or do these have the graceful curve of a chorus girl’s legs? A coat of green paint gives them even more panache. Pair this set with a live edge slab to create a custom table.